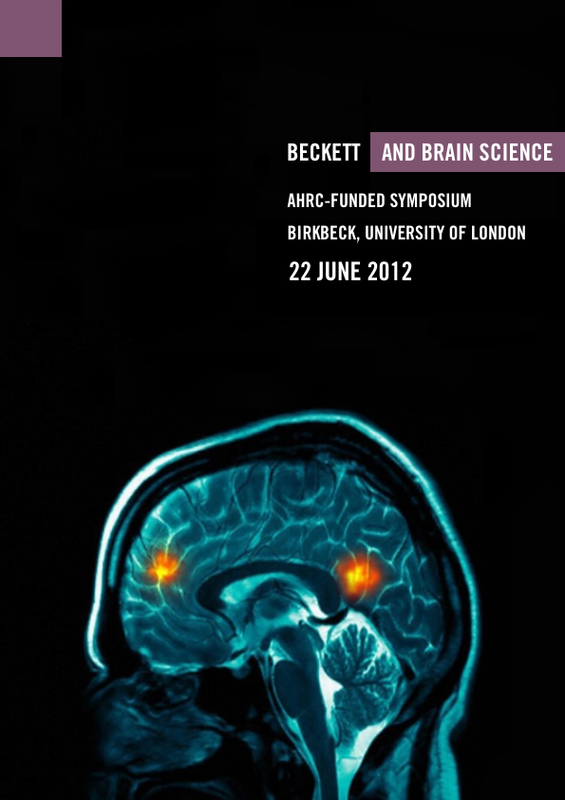 This AHRC-funded project brings together literary scholars, psychiatrists, psychoanalysts, cognitive neuroscientists, neuropsychologists, and philosophers to investigate the ways in which historical and contemporary models of the brain and mind can contribute to our understanding of Beckett’s work. The project also uses Beckett’s texts as case studies to investigate the ways in which aesthetic representations can offer insights into the experience of neurological and psychological disorder, while asking rigorous, philosophically robust, questions about the relationship between mind and body. By encouraging dialogue between scientific researchers, literary scholars, theatre practitioners, and trainee medics, the project hopes to extend our understanding of the relationship between medical science and literature, while also having a positive impact on patient care. Dr Laura Salisbury (literary scholar, Birkbeck). This event is free but spaces are limited and booking is essential. To reserve a place please contact Laura Salisbury: l.salisbury@bbk.ac.uk This event is part of the AHRC Science in Culture ‘Beckett and Brain Science’ exploratory project, shared between Birkbeck, Reading University, and Warwick University.